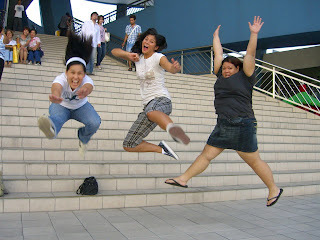 Anyway, the latest craze among my kins is jumping while having their picture taken. It does not matter what the occasion is- parties, weddings, gimmicks. You might remember a picture of me jumping too in one of my posts. 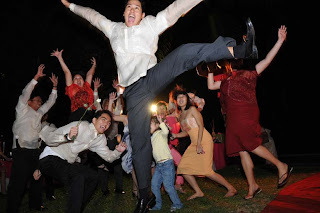 Here are some best jumping pictures in my picture file. This crazy one is daughter #4. She is the ultimate Jumping Queen. 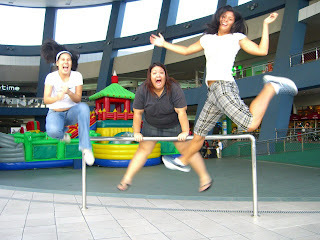 The three mismatched body types again....Sheena is 5'11"
daughter #4 sure loves jumping! and she can too! 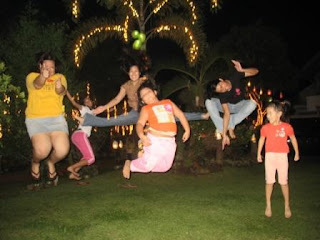 hi wena and sheng: the family is really makulit.lahat yata ay may ADHD!